Last weekend we were joined by two of Glasgow's favourite designers, Alice Dansey Wright and Emer Tumilty, in a body painting special at the Project Cafe. Alice Dansey-Wright is an artist and designer based in Glasgow. She paints murals and delivers public art projects inspired by the body, fashion design and textiles. Themes in her work include accessibility, empowerment and collaboration. Emer Tumilty is an artist and illustrator from Northern Ireland, now based in Glasgow. With a background in Architecture and Visual Communication, her work draws inspiration from the built environment, the playfulness of Postmodern design and the mathematical compositions of Russian Constructivism. She uses bold colour combinations and simple geometric forms, working across a wide range of projects from illustration and printmaking to murals, installation and set design. 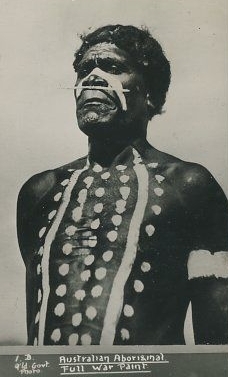 Records of modern and ancient tribes from Europe, Africa, Australia and Asia provide extensive records of their body painting heritage. Utilising environmental resources from the earth such as plant pigment, body paints could be created and temporarily preserved with animal fats. These paints were used in every day, spiritual life, representing authority and ranking as well as celebratory imagery. The first appearance of full body paint in Western Society emerged in 1933 with famous cosmetic inventor Max Factor Sr. causing a scandal with his exhibition of naked model Sally Rand on 1933 World's Fair in Chicago. Nearly thirty years later, in 1960, Yves Klein (1928 – 1962) employed female models as 'living paintbrushes' loaded with the artist's patented International Klein Blue paint for his Anthropometrie series. The models were instructed to make imprints of their bodies on large sheets of paper, often in front of an audience who were presented with blue cocktails and entertained with a performance of his “Monotone Symphony,” a single note played for 20 minutes, followed by 20 minutes of silence. Arguably one of the most prominent and authentic body paint artists currently active is Laolu Senbanjo, a Brooklyn based Nigerian born Performance and Visual Artist, Singer/Songwriter/Musician, Human Rights Lawyer and Activist whose mantra is “Everything is my canvas.” He considers himself a 'keeper of the Yoruba culture.' His Sacred Art of the Ori Yoruba body paint ritual was featured on Beyonce’s Grammy Award winning Visual Album, “Lemonade". You can view more images from our life drawing session with Alice and Emer in our gallery, but for the time being please enjoy these snapshots taken by wonderful photographer Indre Bylaite.